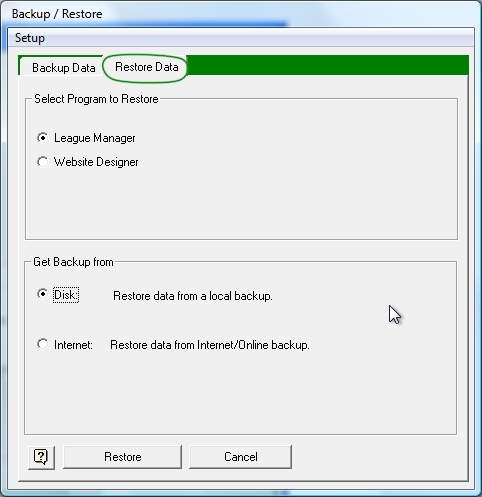 The Backup and Restore Data function works the same way in League Manager, Tournament Manager and Handicap System. Click on the "Restore Data" tab. Select the program data to Restore and the Backup location (local Disk or our server on the Internet) and click on the Restore button. 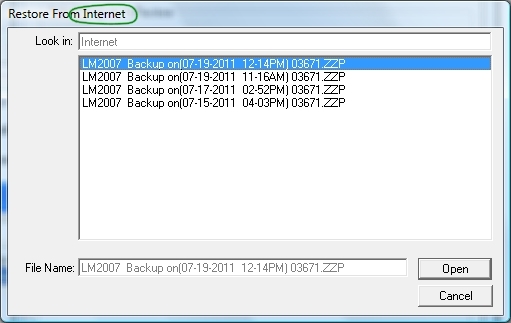 From the "Select file to restore" or Restore From Internet window, choose your latest backup to restore and click Open. Confirm that you want to restore the named file by typing "yes" and clicking OK in the "Restore?" window. IMPORTANT!!! After you restore the data, you will have on the computer exactly what was on your computer when the backup was made. 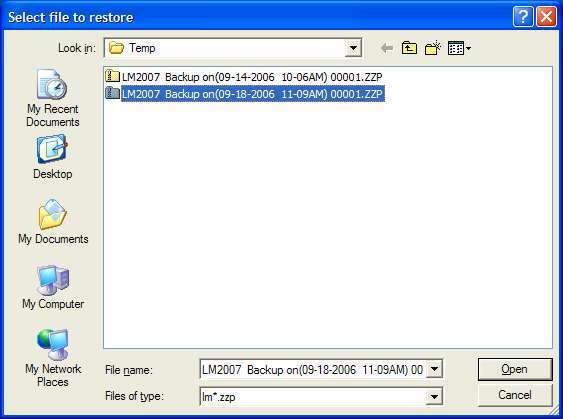 It is important to remember, when you restore a backup...the data in the backup (golfers, tournaments, courses, etc) is placed on your computer...any existing data is overwritten by the "restored" backup. In other words, restoring a backup DOES NOT MERGE info in the backup with "new" data already on the computer. The restored backup REPLACES existing data on the computer with the backup data. See "Copy database to another computer" for more info.